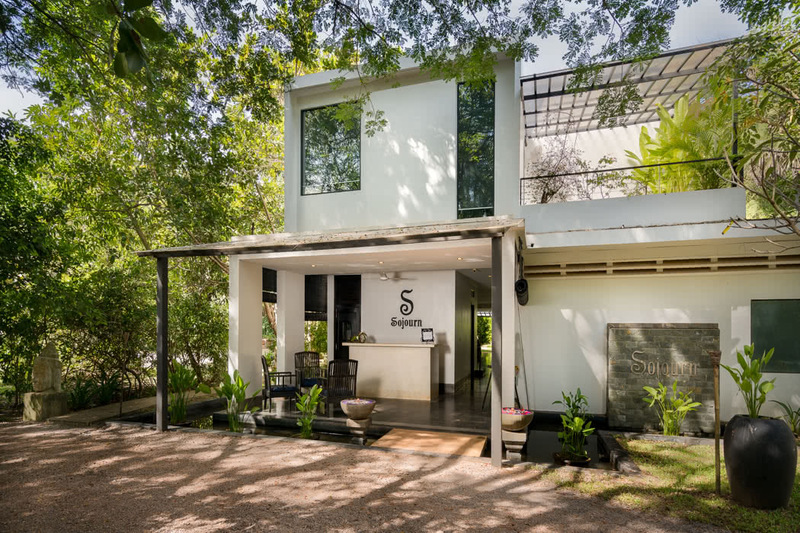 Siem Reap is known as the gateway to the spectacular Angor Wat Temples in Cambodia and is definite bucket-list stuff; make sure your accommodation is equally as special with a stay at the very luxurious Sojourn Boutique Villas. 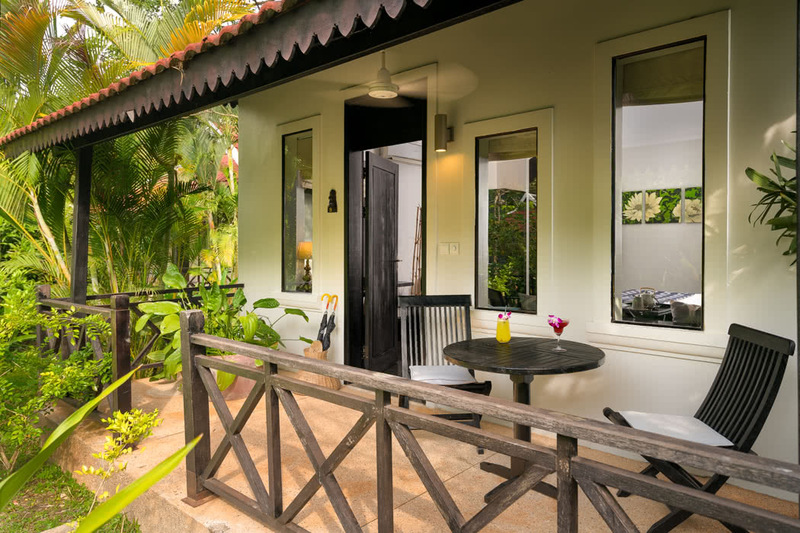 The villas are located just a short drive from Siem Reap town and within walking distance of the Ancient Wat Athvea temple. Angkor’s vast complex of intricate stone buildings includes preserved Angkor Wat, the main temple, which is pictured on Cambodia’s flag. Visitors tend to come to Siem Reap to visit Angkor but need to stay longer to soak up the town itself. A fab all year round destination with a creative cultural scene, it has an emerging foodie and bar culture and great shopping. 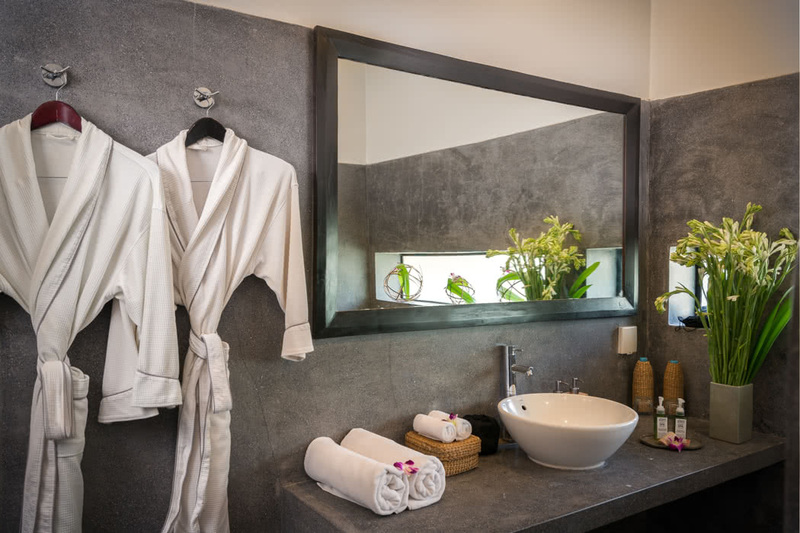 Sojourn Boutique Villas is a perfect tropical getaway; beautiful villas are spread around a lagoon pool which is surrounded by landscaped tropical gardens with lotus ponds, coconut palm trees and rice fields. The décor is contemporary with a delightful blend of traditional Asian accents. 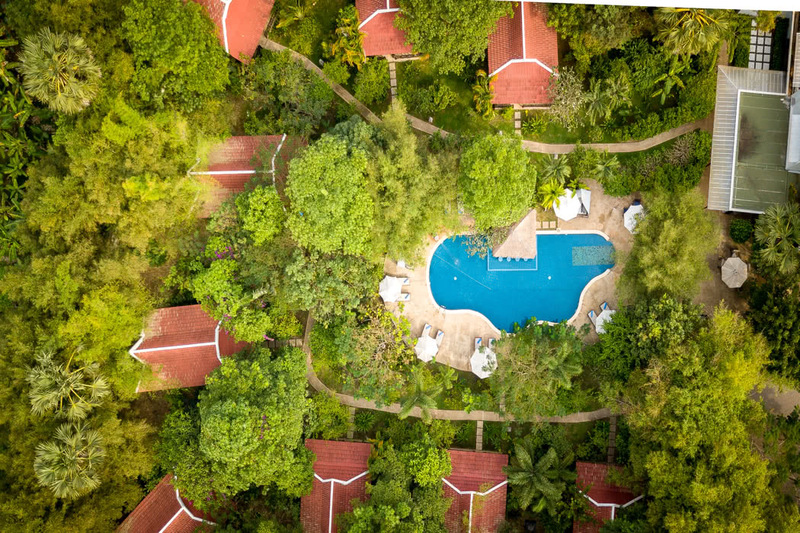 It is a peaceful and relaxed resort and the perfect place to escape back to after a busy day exploring Siem Reap. 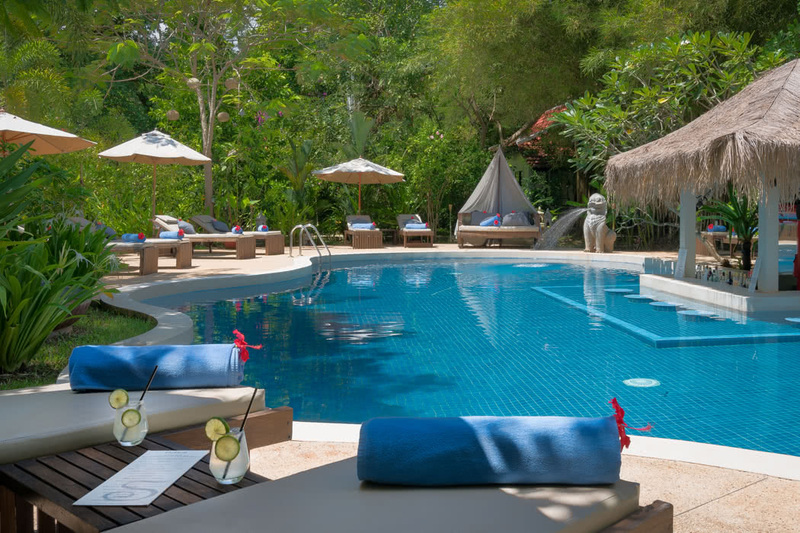 The pool here is beautiful, an outdoor salt water lagoon pool surrounded by those tropical gardens, there’s even a swim-up bar (one of only three in Siem Reap!). 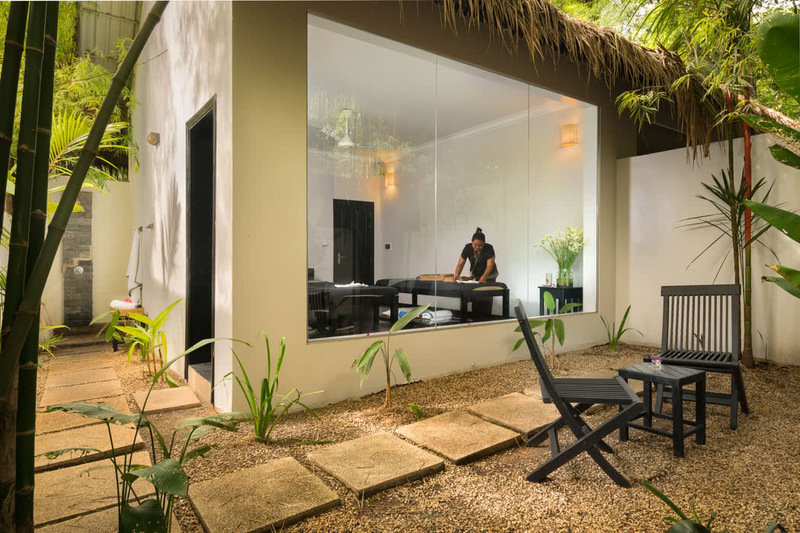 Also hidden in the tropical gardens you’ll stumble across the cosy Origins Spa, indulge in a massage or spa package featuring heavenly organic, fresh and local products. 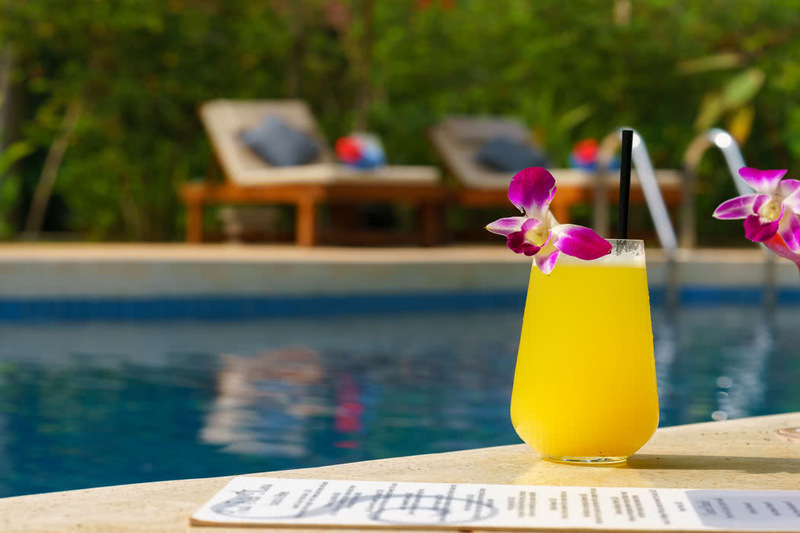 As well as leaving refreshed and relaxed you can also leave a better cook! 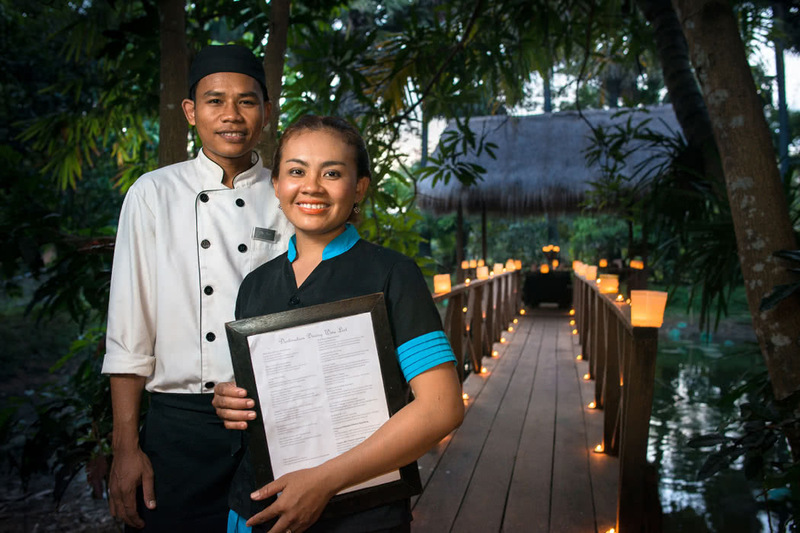 Take a class at the award-winning cooking school and learn how to cook a delicious Cambodian speciality. The staff here are simply amazing; professional, friendly and attentive without being intrusive. Let them guide you on local arrangements, they have far better tips and deals than you’ll find elsewhere. 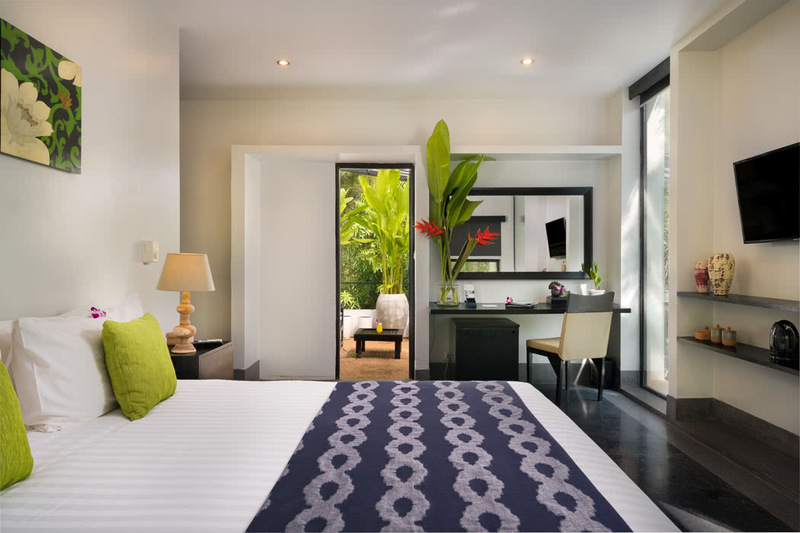 The wonderfully private resort has only 10 spacious guest rooms. 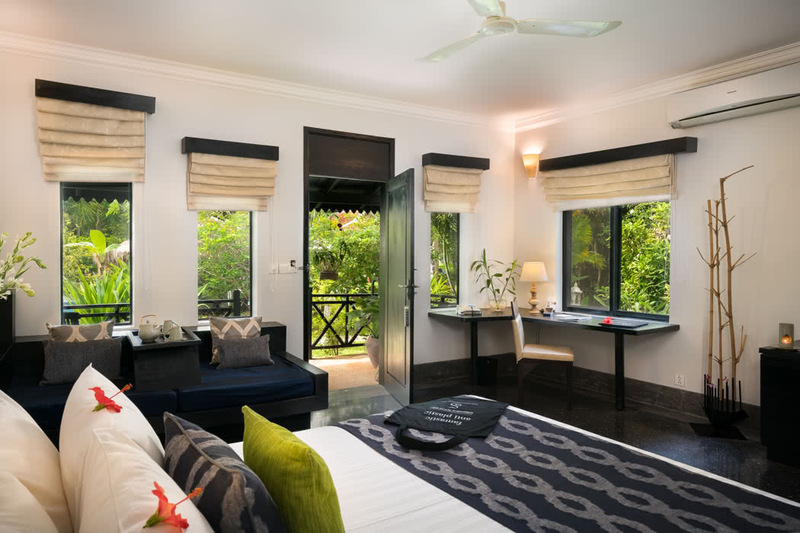 Choose from two Terrace Rooms with rooftop gardens, and eight stunning villas with balconies. 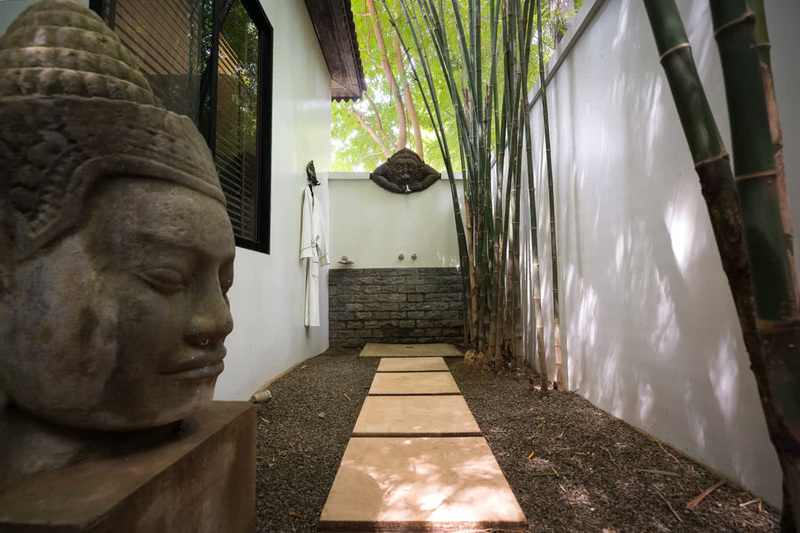 The villas are definitely the right choice for luxury travellers; the Temple Villas also have a hidden secret outdoor garden shower! A very special spot for a shower under the stars. 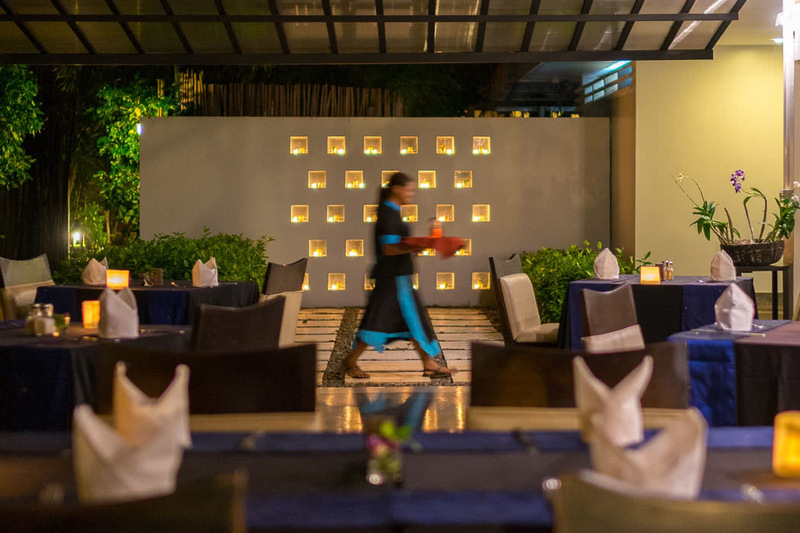 Dine at Sojourn Restaurant for delectable Cambodian flavours and international cuisine, it’s a beautiful restaurant lit at night by candles and bamboo flares but even with a setting this lovely, the offer of destination dining is not one to resist. An achingly romantic candlelit dinner can be set for you in a private pavilion set over a lotus pond for an unforgettable night.